Utilization of tooth whitening products and services in the U.S. and globally is very strong and shows no signs of diminishing. The three primary methods of tooth whitening include in-office, take-home and over the counter whitening agents. The two major types of tooth discoloration are intrinsic and extrinsic. Extrinsic stains are easily removed during a prophylaxis. Extrinsic discoloration can become intrinsic by migrating to the interior of the tooth through pits, fissures and surface irregularities. Peroxide containing whitening agents enhance the appearance of teeth by addressing intrinsic stains. The most common side effect of whitening procedures is transient hypersensitivity. 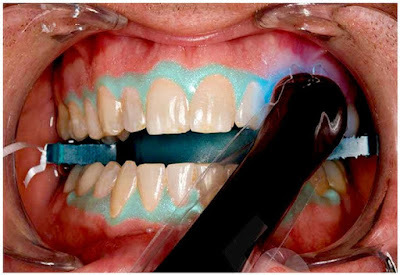 This course provides a review of tooth whitening services and agents. Esthetic dental services have developed over a relatively short period of time and the demand for these services is very high. Recent estimates indicate that Americans are spending over 2 billion dollars annually on the various types of tooth whitening products and services available. The terms whitening and bleaching are used interchangeably by both the dental profession and the lay public. It may be worthwhile to emphasize to patients that bleaching does not refer to the type of bleach used in the laundry.